Do you spot the city map of Nice in the carpet? 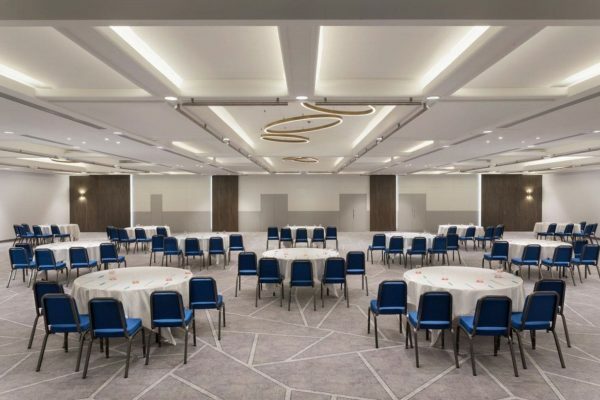 Create dynamic and wow-effect with a large and eye-catching carpet design in large public spaces. 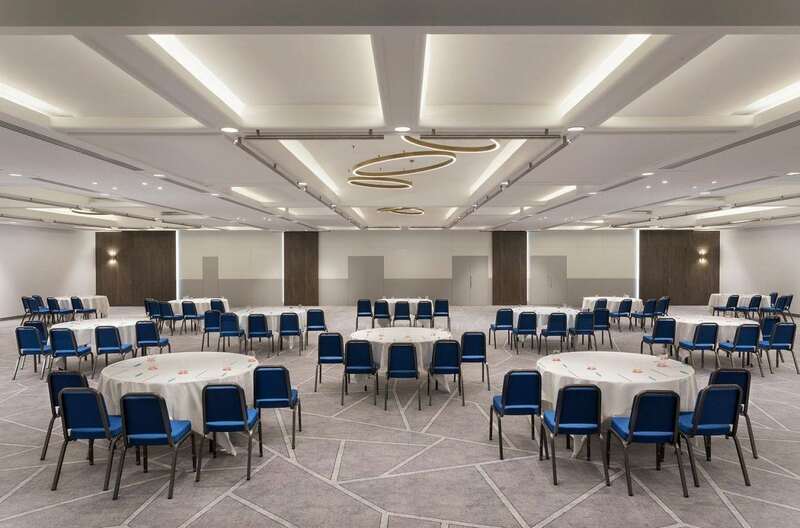 This is what Le Méridien in Nice did in their newly renovated conference centre. 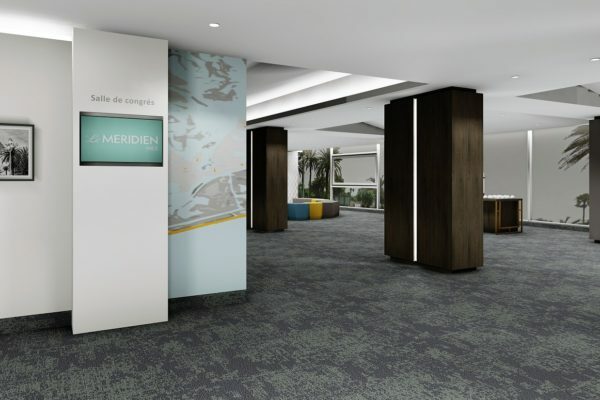 Le Méridien created a new and stimulating environment and a brand new design to “unlock the destination”. With essential reference to the French Riviera scene, Le Méridien Nice invites its guests to explore the most original cultural, artistic and culinary facets of the region. 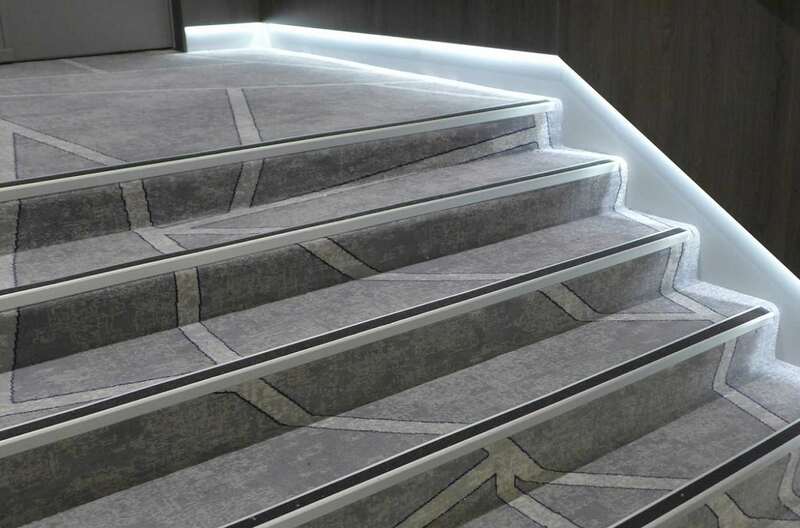 Even the carpet design has incorporated elements from Nice since it arises from the grid of the city map. Visit the website of Le Méridien Nice. Le Méridien Nice, conference centre. 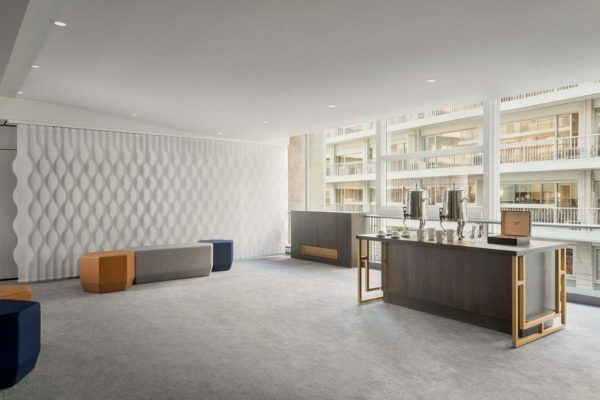 Dansk Wilton delivered custom designed DW TWIST carpets for the conference facilities.